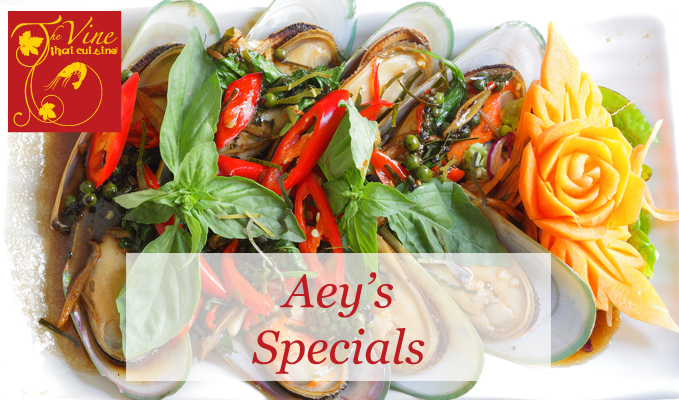 Aye's Specials include deep-fired dry-marinated beef, seafood salad and deep fried calamari. If you suffer from any known allergies, please ask a member of staff before ordering. 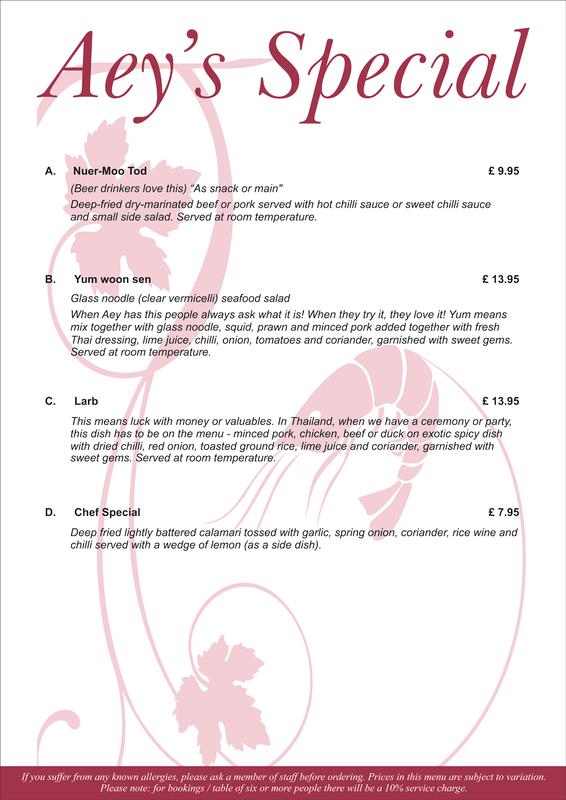 Prices in this menu are subject to variation. Please note: for bookings/table of six or more people there will be a 10% service charge.